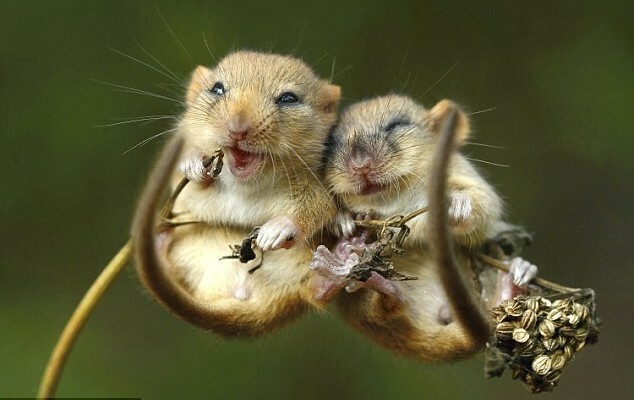 Comment on Joint Local Plan. But only until MONDAY 3rd DECEMBER. 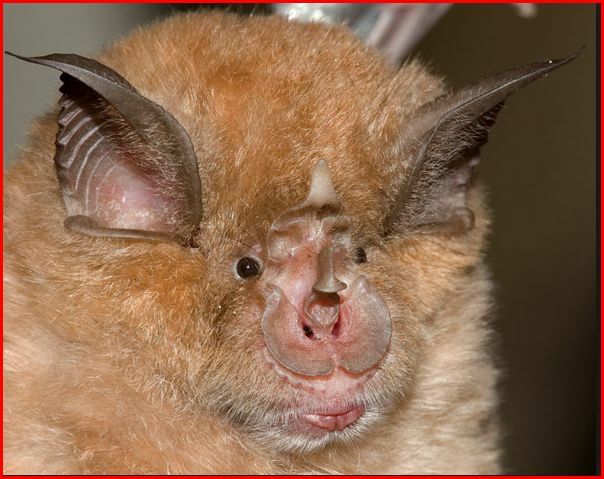 Development pressures and Greater Horseshoe Bats in the South Devon SAC. Can they survive? 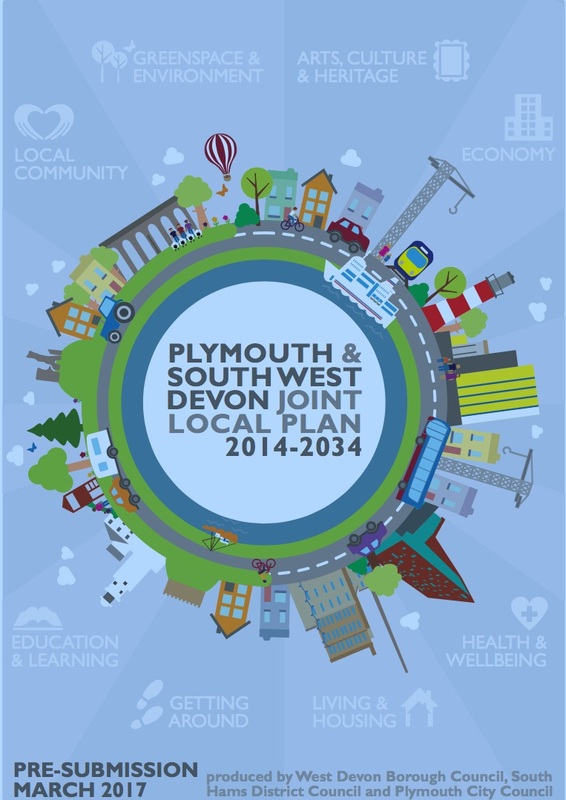 What does the Joint Local Plan mean for us? The Joint Local Plan is in its final stage and is out now for public consultation on its modifcations. But only until MONDAY 3rd DECEMBER. Despite the objections of hundreds of people, Planning Inspectors are poised to give the go ahead for 504 houses to be built in our parish. The green fields of Broom Park and Sawmills West are now marked for development. 1. 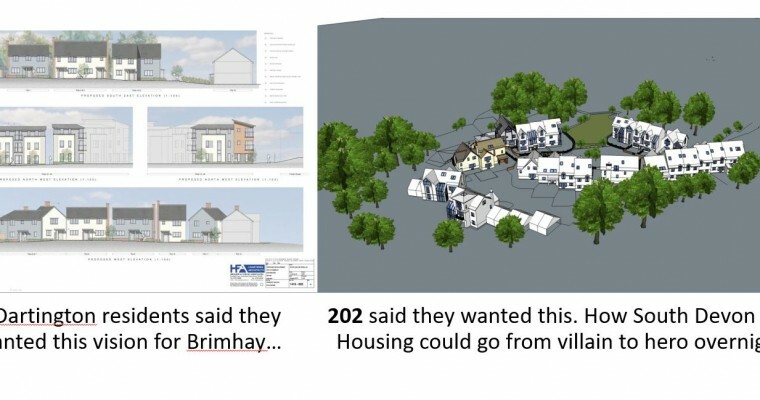 Allow developers to build 2077 SURPLUS houses in South Hams– 27% above even the Joint Local Plan’s assessment of housing needs. 2. 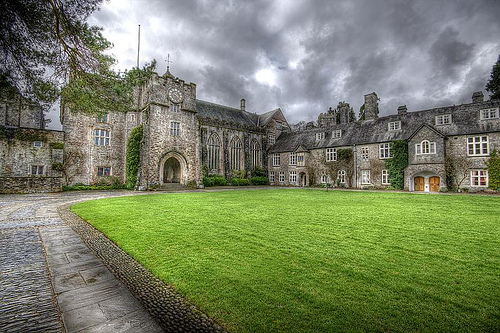 Allow Dartington Hall Trust to sidestep planning lawand build almost 400 houses on its land to generate income rather than to supply local need (no-one else can legally do this). 2. 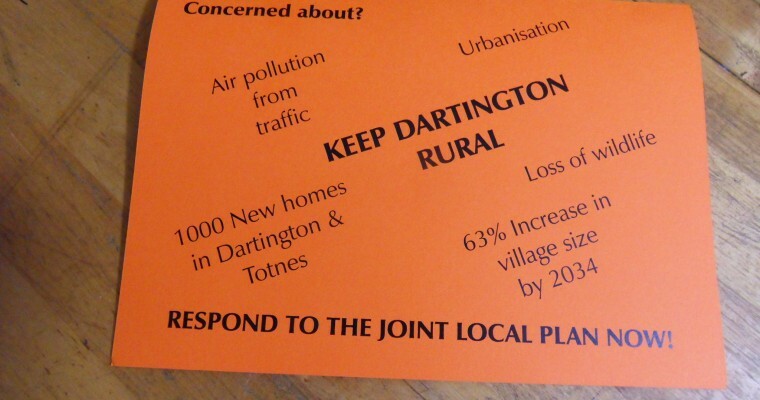 Ignore the increase in air pollutionthat 1000 houses in Dartington and Totnes will create (1000 houses could mean 2000 more cars including deliveries etc). The A385 corridor already regularly breaks World Health Organisation safety levels for air quality. We are breathing toxic air as bad as that in any city. 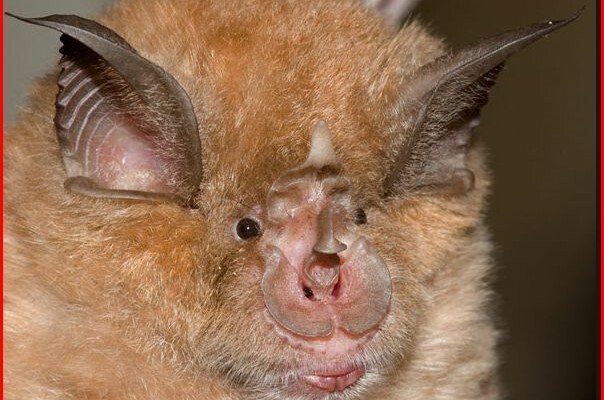 3, Damage wildlife.We are so lucky to have Greater Horseshoe bats and dormice which are on the brink of extinction, but some policies in the JLP allow ‘mitigation’ to enable development. 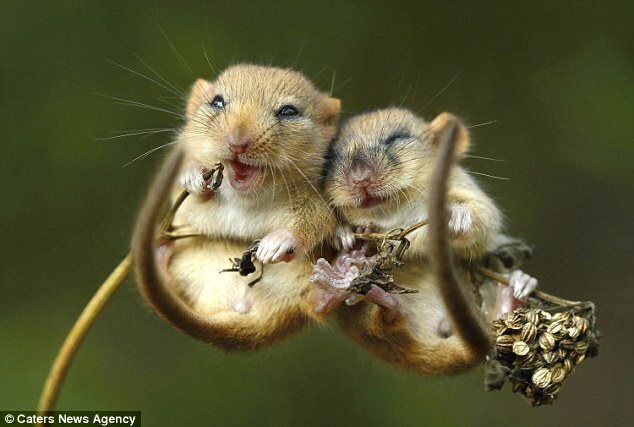 This means that precious habitats can be destroyed and a feature favoured by a species (eg a hedge) can be created elsewhere in the hope that the bats, dormice or otters will move in. Mitigation in the case of endangered species is illegal, so this policy must be changed. And use the portal provided for your response, Thank you. About us: Something is changing in the state of Dartington – we hope! Welcome to the website of Don’t Bury Dartington Under Concrete, a campaign of local people standing up to a Dartington Hall Trust (DHT) which has been increasingly adrift from its founding values but we hope is finding them again! After much hard work on the part of local people it appears that DHT are offering a sea change in their approach to the local community. DHT have made a firm commitment to the Neighborhood Plan – a vital part of any real community dialogue. We came together in September 2014 when DHT submitted land for the development of up to 500 houses around our small, rural village. We now see part of our on going function as continuing to monitor and encourage the changing development policies of DHT and ensure DHT adopt a more open approach to the local community. DBDUC continues to call for DHT to be genuinely ‘accountable’ and to work with us to create something wonderful in our village. This website will continue to keep everyone up to date and provide a place to share and exchange ideas. It will offer suggestions on how you can help. You can also see our blog documenting our campaign to get DHT to live its values. Please get involved, share your thoughts. It’s time to live the change.